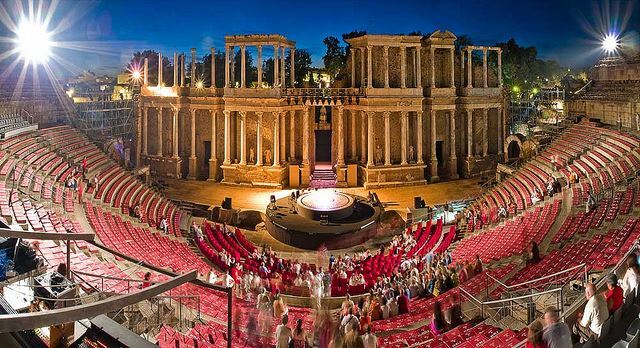 We at Totally Spain cannot rave enough about the 2,000 year-old Roman theatre in Merida. With seating for 3,000 people, it claims to be Spain’s largest theatre. And when better to enjoy this stage than at the International Festival of Classical Theatre that first began in 1933. Every July and August the Roman stage is filled with theatre as well as music, ballet, film and opera. You’ll find a lot of side-shows as well on equally impressive stages such as the Temple of Diana. If you’re not familiar with Merida, you should check out our post on Extremadura here and don’t miss the Roman theatre’s video-mapping spectacle that we previously shared on social media – it’s pretty impressive. If you’re still not convinced, you might like to read these musings from an expat who enjoyed the festival back in 2012. The Almagro Theatre Festival held every July is much cherished in Spain and abroad. We worked with members of the Tangram Theatre in London in 2013 who, having staged a Lope de Vega classic in London, had to come see the play in Almagro that Summer. 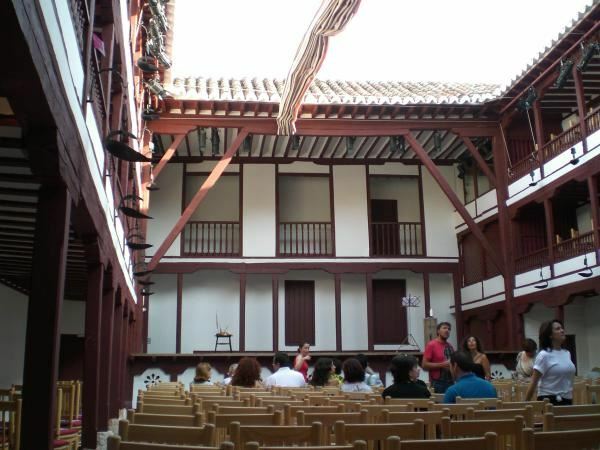 If you are in any way interested in theatres, the Corral de Comedias in Almagro really is a must-see. 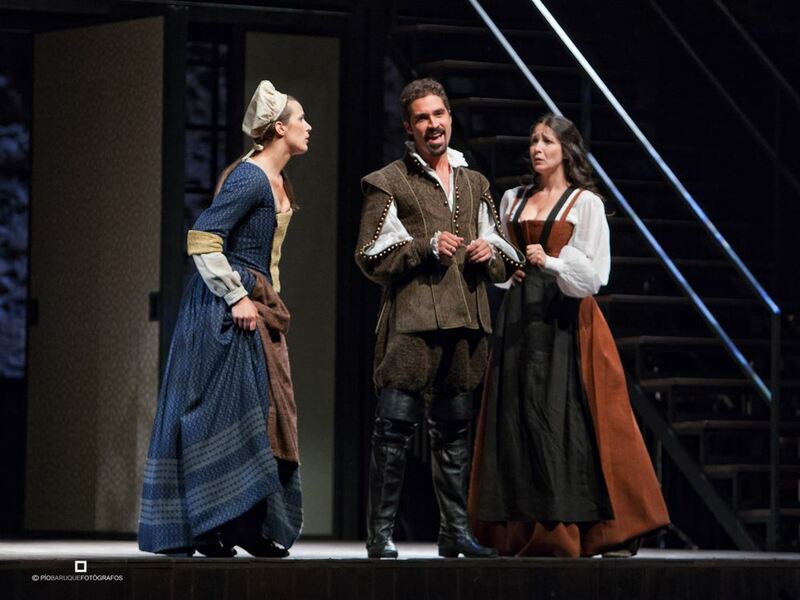 Its first recorded performance was back in 1629. Sometime during the 19th century its use was changed and the theatre was bricked over until 1953 when it was re-discovered. Today, you’ll find it filled to the rafters in July for its Annual Festival. It’s often compared to The Globe in London and both share much common ground. You’ll find it right beside the Plaza Mayor. And from the old to the relatively new. The Grec Theatre was a disused quarry in 1929 that was converted into an open-air theatre. It’s now home to the Grec Festival of Theatre which began in 1976 and has been going strong ever July ever since. In addition to the events at the outdoor theatre, check for music evenings in the gardens and other comedy and music events. Valladolid’s Classic Theatre festival in the Villa del Caballero, Olmedo also takes place in the open-air every July. Previous year’s festivals have commemorated the centenaries of the birth of Teresa of Avila and the Cervantes. Check the website to see what this year’s theme is. The Roman Theatre in Sagunto is another impressive sight. The 8,000 seater semi-circular space in Valencia was declared the first national monument in Spain in 1896. 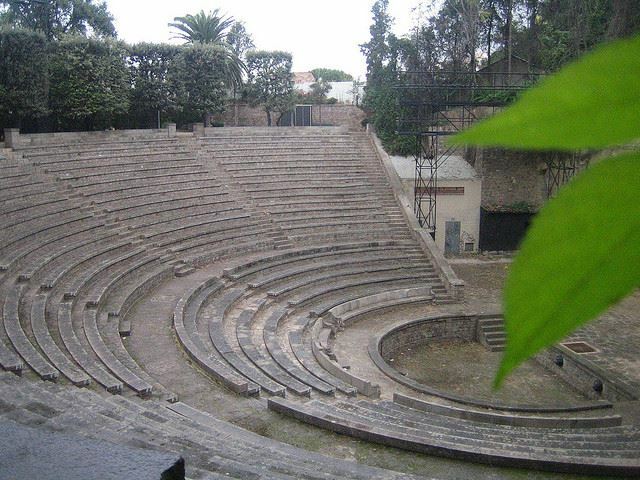 Try to coincide with its Theatre Festival held in July and August – when many events are held at the Roman Theatre which has been renovated in sections on a few occasions. You’ll still get a great sense of its history and will certainly enjoy its acoustics. The Theatre Festival in Alcantara, Extremadura is held in August every year. Many of the events are open air (although not in an open-air theatre as such). Expect to see recitals, plays and street theatre in the streets and squares and if the balconies look exceptionally groomed, it’s because there is a parallel festival and competition for the best balcony. 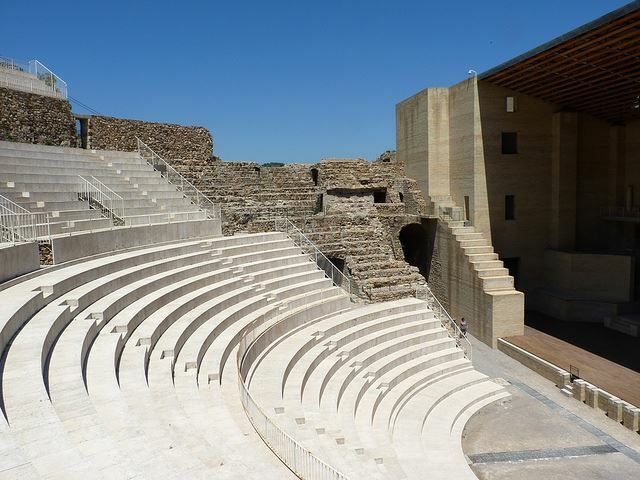 If your interest in theatres is more archaeological, your visit to Spain should include the amphitheatres in places such as Tarragona which was built in the 2nd century AD right beside the sea. It’s open to the public to visit – unfortunately, you’ll have to stage your own play or piece of theatre there. Given the favourable climate, most Spanish cities provide outdoor entertainment throughout the summer. In Madrid for example, you have the Verano de la Villa Summer Programme that features outdoor theatre, concerts and dance in parks and theatre venues from the 1st July to the 30th August. In Seville, the Real Alcazar often features night performances by the Teatro Clasico de Sevilla every Friday and Saturday during the Summer months. And from mid July to the beginning of August in Olite in Navarre, you can see the town’s Classic Theatre Festival within the walls of the Olite Palace – one of Spain’s hidden gems. Many of the hotels, bars and restaurants offer discounted deals to ticket holders so it a great time to enjoy this special corner of north east Spain. Wherever you are in the country, make sure to ask in the local tourist office or at your hotel for open-air events. It’s a wonderful way to enjoy the architecture, history and culture – on a cool summer’s evening. Of course, you can also get us on board to book your accommodation, festival tickets and lots more. Posted in Andalucia, Barcelona, Castilla la Mancha, Castilla Leon, Extremadura, Festivals, Insider Spain Guides, Madrid, Musical Events, Navarre, Valencia and tagged Alcantara, Almagro, amphitheatres, Corral de Comedias, festival, Grec Theatre, Laroles, Las Alpujarras, Merida Festival of Classical Theatre, Olite Palace, Olmedo, open-air, outdoor, Roman theatre, Sagunto, Spain, Tangram Theatre, Tarragona, Teatro Clasico de Sevilla, Temple of Diana, theater, theatre, Valladolid, Verano de la Villa.